There is nowhere else in the world like Albayzín, the old Moorish quarter of Granada. 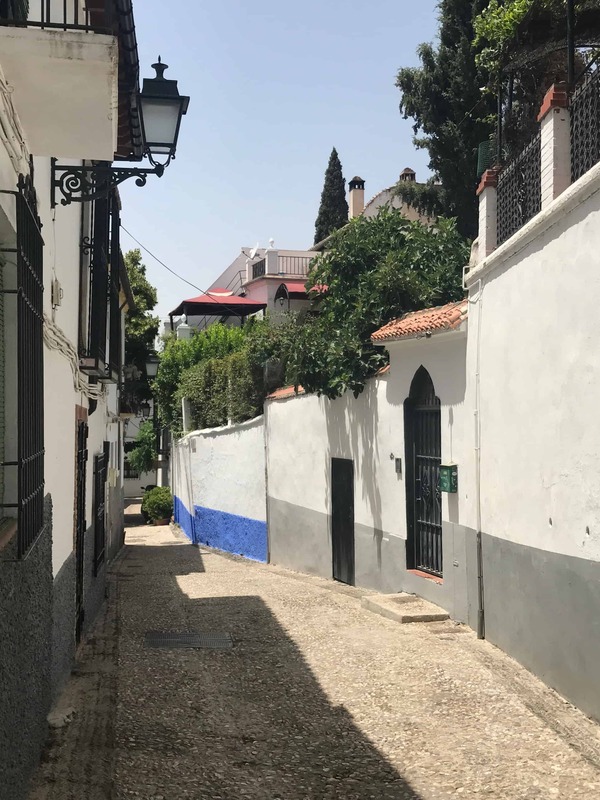 Creeping up the hill opposite the Alhambra, on the other side of the lush Darro valley, it’s a scandalously beautiful barrio of whitewashed houses, flower-strewn balconies and hidden gardens. And when American writer Steven Nightingale discovered this magical patch of hillside on a trip to southern Spain in 2002, he was instantly captivated. Nightingale and his wife Lucy bought a crumbling old house in the Albayzín with a carmen – romantic, enclosed gardens that abound throughout the neighbourhood. 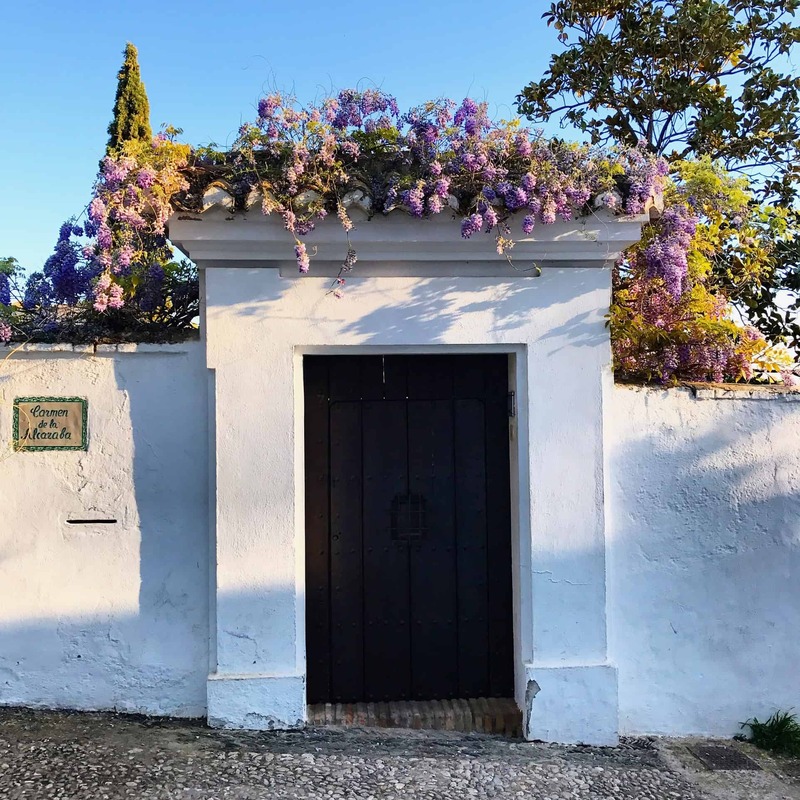 He renovated the property and spent several years absorbing and studying his new surroundings, as well as the fascinating history of Andalusia (from “Al-Andaluz”, as Moorish medieval Spain was called). 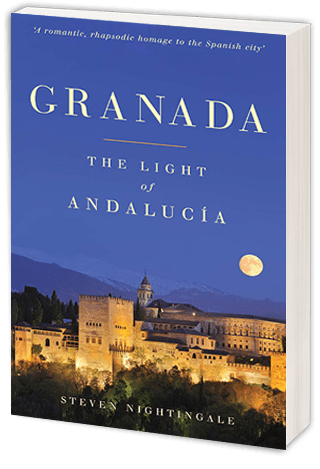 “Granada: The Light of Andalusia” is the result – a book so rich and inspiring that I’m envious of those who’ve yet to read it. Nightingale certainly wasn’t the first foreign writer to be ensnared by Granada, nor will he be the last (indeed, I also fell in love with this city and the Albayzín within about thirty seconds of moving here in 2015). Yet the city’s oldest quarter poses two problems for authors trying to capture its charms: it is very difficult to write well about somewhere so singular, so beautiful and so complex. And it’s even harder to write originally about somewhere that’s been the subject of so much prose and poetry. “One might think that a neighbourhood composed of small buildings, close together, and using so few elements – gardens, stone, brick, wood, plaster – would be monotonous… But [in the Albayzín], the severity of the constraints invites beauty to move in and stay awhile… In fact, all the rules have ignited the most promiscuous variety of ideas for making a space to live”. In just a few lines, the author has captured exactly why this barrio is so enchanting. It’s to do with the tightly-packed layout and the fact that everyone’s living on top of one another, which means that “life is in our face with rough edges, past tragedies and a daily sense of promise”. Nightingale’s observations help us understand the Albayzín’s detailed, many-layered beauty: it’s a neighbourhood in which complexity derives from simplicity, more from less. “[I]f…we knocked upon the door of any family among them, soon we would be at table, our daughter would be playing with their children, and we would be talking late into the night over superb bottles of vino tinto”. Anyone who has spent any time in southern Spain will also have benefited, at one point or another, from the no-questions-asked generosity of Andalusians. Indeed, for more reserved northern Europeans (as a Brit living in Granada, I certainly speak for myself here), it requires adjustment, because back home it takes a long time for such closeness to develop between strangers. But in the Albayzín – a barrio in which the smallest details of daily life are excuses for a quick coffee or caña, or chat in the plaza – intimacy and warmth are never more than a couple of words away. “It was their nature and our privilege”, writes Nightingale. At the centre of the author’s life in the Albayzín is his treasured Carmen de Nuestra Señora de la Purificación (despite his tantalising clues as to its location, I’m still hunting for it). Nightingale invites us into his private garden and delights in describing, in loving detail, its fecundity and its beauty: he and his family have white figs in the summer, pomegranates in the autumn and olives in the winter. Each morning, the writer takes his young daughter into the carmen “to stand in the light together and greet each vine and tree by name and wish them their fine day in the sun”. 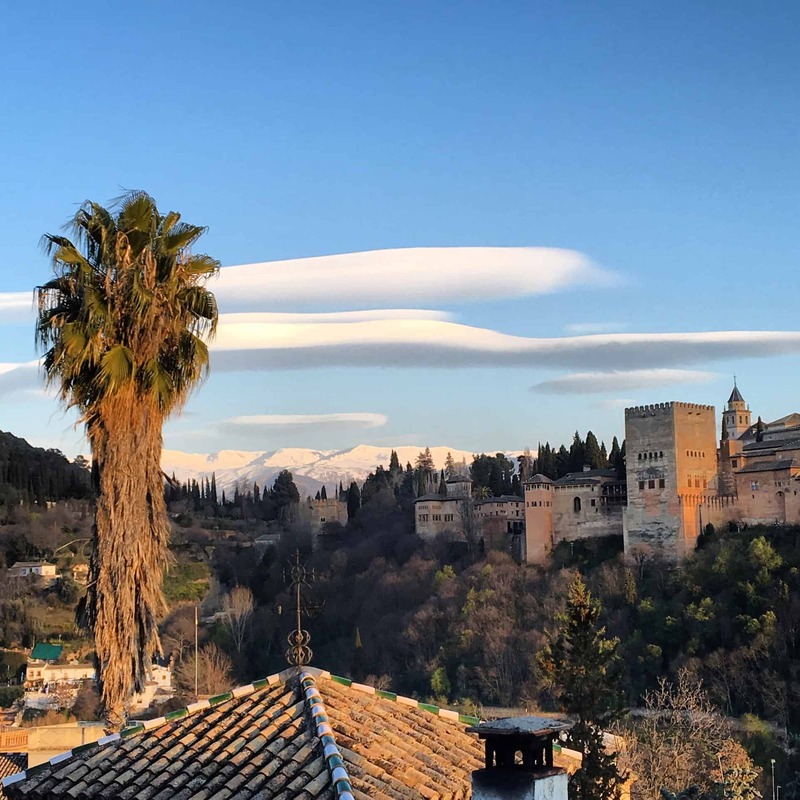 It’s the kind of image that makes you want to throw down the book, jump on a flight to Granada and start hunting for a place in the Albayzín. Or, if you’re already fortunate enough to be living in Granada’s oldest barrio, resolve to never leave. The author also takes us on an exhilarating tour of Andalusia’s history, from the beginning of Al-Andaluz in 711 to the present day. He writes brilliantly on Moorish Spain’s greatest poets, scientists, botanists and princes, on Federico García Lorca and his murder at the beginning the Civil War and on flamenco, the iconic music of southern Spain (which can often be heard drifting from open windows in the Albayzín). 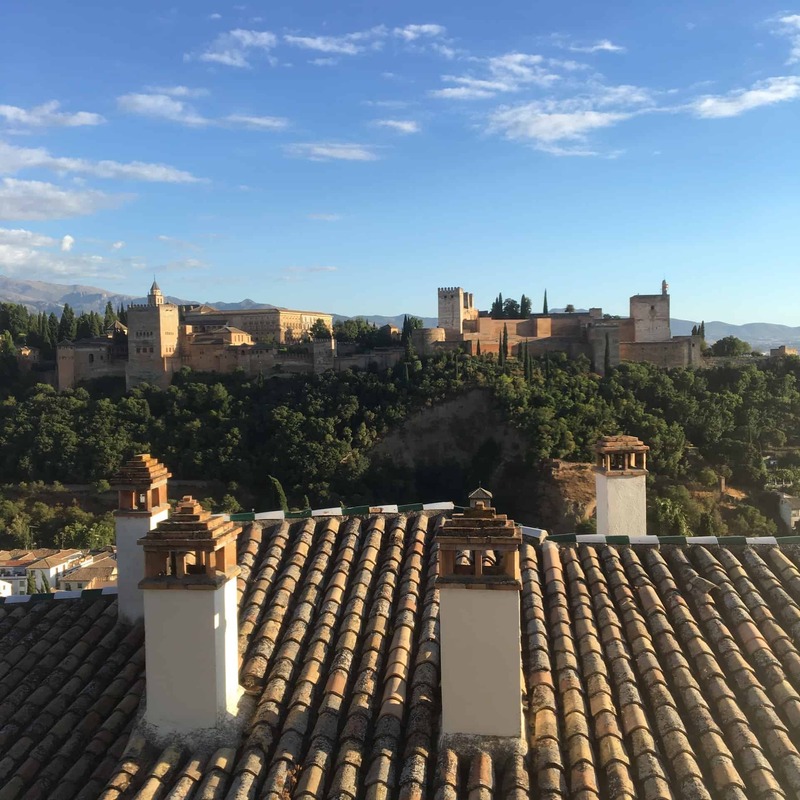 I learned a great deal about all of those things from “The Light of Andalusia”, but for me – probably because I’m also lucky enough to call the Albayzín home – it will always be a book about Granada, specifically about its most seductive barrio. In his final paragraph, Nightingale calls the Albayzín “one of the best places in the world to live… [O] ne of the best places there will ever be to live”. I’m not going to disagree with him, but I feel that I’m still lacking one crucial element of life here: my very own carmen.